Buying Carri-Craft Houseboats - Any Tips or Issues before I buy a House Boat? Any tips on buying a used CarriCraft houseboat? I am considering purchasing a Carri-Craft houseboat and would love to hear about any issues or experiences Carri Craft owners might have with these house boats? * Any structural issues that I should look at before buying? * Is there any hidden manufacturing problems or defects? * What are the best engines to get in these, and why? * Is there any major differences amongst the various lengths? * How would you rate the space, handling, and comfort level? If you have any other information that would be valuable to a buyer, please do let me know. Well Marc, congratulations on your decision to buy a Carri Craft houseboat, as I also find the model very appealing. As the Carri-Craft is not a model as popular as Gibsons, Sumerset, Harbor Master, or Sharpe and such, I am hoping that the past or present owners of the Carri Crafts will share their invaluable knowledge with you. 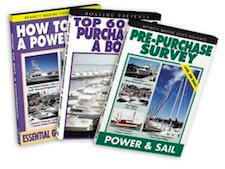 One of the tips that I recommend to anyone buying a used houseboat, is to get a marine survey done by a qualified surveyor. You wouldn't buy a house without getting a home inspection done first. Boats are no different, and better to know the overall condition and value beforehand. If you do end up buying one, do take a photo, and share your experience with us all here, as others will also benefit from your experience. 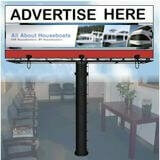 Lastly, hopefully some of our readers will share and post comments about their houseboat experiences. Feel free to use the "Click here to post comments." link found near the bottom of this page. 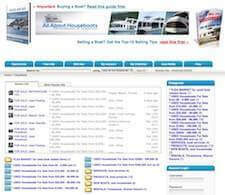 Comments for Buying Carri-Craft Houseboats - Any Tips or Issues before I buy a House Boat? Beware if its floating low in the water even a little. Or if the waterline has been painted higher on the boat. These are balsa wood cored boats and they all will become saturated with water in time. When that happens the repair will cost more than its worth to repair. At the least you will never get it to plane again, at the worst you will get cracks that could sink you off shore. Well I lived on one from 1971-1989, she was just wonderful, easy to work on, stable in rough water. her name was Aurhart. 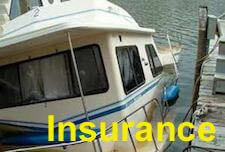 If you find one that is not abused, you will be happy to own one, just get a qualified boat inspection. Help please. My 57 was re propped with a 20 x 20 and 20 x 22. The 160 turbo'd Perkins can only squeeze out 1500 rpm, which gives me about 6 kts. 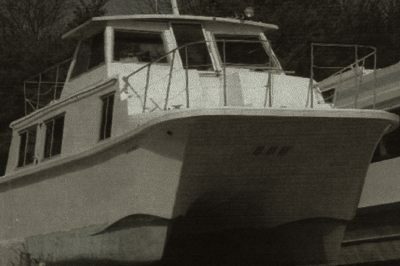 Can someone tell me what props would have been on the boat when it left the factory in 1977? Phil, I will get you an email address to contact me. Tom. I don't own it, I can give him info to contact the manufacturer. "no HTML, Links, Addresses, or Phone Numbers"
IAN, how do I give her my contact information without publishing it on the web? I have information that may be useful for him on the trailer. You can put it in the houseboat classifieds section. I previously owned one, it was made by Talbert, trailers. It was only good for short travel, what are your plans for it? Yes. I am still interested. Please let me know more/how to contact you. My best. Tom. Reposting - if anyone has information on the trailers that were sold with some Carri Crafts, would be interested in hearing from you/seeing one. I had a 57 Ft for a few years. We lived aboard full time. Best boat made, loads of room and we only used the starboard bedroom. This boat is comfortable and easy to keep up. It had 2 Perkins Diesels. Generator was never used bit was a diesel. Beautiful easy to work in kitchen. We're thinking about getting another Carri Craft. We might be a little too old now but will see. We are in our 80's now and a little slower now. Had full marine inspection and was extremely disappointed at care and maintenance performed on Carricraft. She needs a lot more bottom fixes than I had funds for. Still looking for another one not so neglected. Looking at a 1992 Carri Craft 57. Just had inwater portion of Marine Survey. Awaiting results. Knew motors shot, one seized. Now know one rudder gone and V-drive ? Understand seized issue. May need deposit back. Boat must be towed for lift out hulls inspections. Love boat but shape is questionable. She has seventies upper deck. I questioned style and model but title search not done as yet. Expensive just for answers. Anyone know of the Seldoms Escape? Mike, I lifted my Cari Craft numerous times on the travel lift. Just forward of the engines is a bulkhead, approx 5' forward of where the shaft exits the hull (if you have V-drives). That is where much of the weight is located. As long as the rear straps on the lift are centered on that bulkhead, you are good to go. Hello, does anyone have the lifting points on a 1971 57 Carrie Craft houseboat? Need to know the strap locations for a travel lift? Marc, I rebuilt a Carri-Craft and had her stripped down to the bare bones. She had been sitting on dry land for many years, the windows were gone, there was a large hole in the side from a previous sliding door and all of the interior supports for the ceiling had gone. When the travel-lift picked her up in the slings I was amazed that she didnt bend or flex one little bit. The hull has a single cross-member which runs across the two hulls and is located about a quarter of the way from the front of the boat approximately directly below the steering wheel. It sits about a foot up from the floor. I would suggest that if there are no stress cracks in the hull around this point, then your hull is probably sound. Make sure that any surveyor examines this area. Mine had no issues at all despite its previous abuse. As far as engines go, there is a huge space for engines and within reason, you can go as big as you like. I have two old 120hp (ish) Perkins and they push her around 12kts. She would move comfortably with smaller engines but you have to consider that she is a long boat and if the wind is pushing her from the side, then you need the extra engine size to be able to turn and move her. The hulls both have perfectly flat bottoms with sharp bows. When I got into rough water, even with about 15kt winds, the hulls would slap the water loudly and the whole boat would shudder, however apart from the disconcerting feeling, it never seemed to bother the boat. The older Carri-Crafts had a balsa-core...light wood sandwiched between two layers of fiberglass. As most of these boats are now 30 years old, many of them will have places in the hull where water has entered and rotted the core. As long as they are patches here and there, it doesn't really matter. Large areas should be addressed. My experience with these boats would suggest that they are not really suitable for blue water or rough water crossings but besides that, they are amazing well built...as shown by the fact that they are still around. I recently was having a 50 Gibson houseboat moved from Tavernier to Key West when the captain sank it just 10 miles away with all of our belongings. Now I am looking at a Carri Craft houseboat and from the comments that I have seen so far, I wish I had considered one first. So thanks to all. We had a 1969 Carri-Craft and absolutely LOVED it! My husband put 671's in it. It was his "transition" home after his divorce ... then we moved it to the dock at our home ... and it doubled as a "guest house" when family would come to visit. I can't really speak to the mechanics of it, but I can tell you that it was sound; every year we had at least 35-40 people onboard for the lighted boat parade in which we participated; the kitchen had full-sized appliances in it and it comfortably slept six. I was surprised by the large amount of closet space and the good-sized bathrooms. We had some challenges with the generator - but all in all, it was a great boat, and I miss her. The gentleman who purchased it from us moved it to New Orleans a few weeks before Katrina hit. Aargh! I own a 57 foot 1968 Carri Craft. It is possibly the most solid and structurally sound boat I have ever owned. There are some areas I will improve on but nothing that would keep me from heading out to the Bahamas, across the Gulf to Panama City Beach from Sanibel Island. Carri Craft is possibly one of the best houseyachts for crossing open water. The twin hulls provide a very stable ride and can take some really rough water when necessary. Power options; Diesel if you please! I have the big high powered gasoline 427's but would love to have two small Perkins or some sort of small diesel. Mainly because I do not need the 650HP that these engines provide. This boat throws a nasty wake even at slow speeds. I was idling through a six knot, no wake zone and was stopped for excessive wake at idle speed. 1,000 RPM's doing under 6 knots. Yes, the cop was right, I saw a wake behind me because of the way the hulls gather the water under the bow and release it out the back on the upswing surge. It surprised me just how tall the wake was even at that slow speed. The cop let me off with a "Slow Down" warning. Thank You, Sir! I slowed to 650 RPM's dead slow and counted myself lucky. If you do drop to lower power you may want to consider bow thrusters for those windy days. It can take a hard shove to bring that big bow around with that huge wheelhouse up in the wind. All in all I would say that there are few if any other houseboats that will give you the room and solid hull of the Carri Craft. Catamaran hulls are noted for stability and ease on the pocketbook. 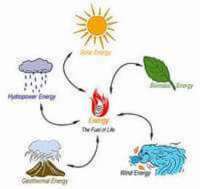 A little power goes a long way. Carrie Craft inspection tips and advice. Carri Crafts are the some of the most seaworthy of the houseboat genre. Not "blue water" but a lot better than most anything close. The interior lay out is up to you to like or dislike. Some have been upgraded to more modern decor. If original, some people would consider them dated. Considering that these boats are 35+ years old a good survey is paramount. By this time in their life it is time to look at the stringer system closely. Many have been worked on already. Review areas around windows carefully, closely inspect door corners and thresholds and hatch areas. Have the engines surveyed by the manufacturers mechanic. Try to find out when exhaust components were last changed out. Riser life is time dependent and not necessarily related to engine hours. I assume you're an experienced boater. Look at these boats as you would look at a cruiser or a trawler, as these boats were built with similar quality and strength. 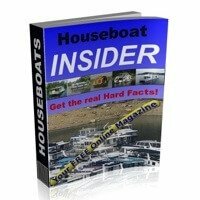 Very well said Old Houseboater, these are excellent preliminary inspection tips and advice. Old Houseboater - I am looking at older model Carri-Crafts, primarily from the early 70s. What is your opinion of these? I would go with the Perkins diesels. These engines are pretty much bullet proof and parts and service are available in most areas. These boats are unique and should have a 50 year life, IMHO not a favorable combination for gasoline engines. I had gas in mine but really wanted diesel. Are you looking at early models or late? I don't have any knowledge of the late models other than loving the appearance.